And so, Westland has shown extraordinary courage by agreeing to publish what is going to be my second book. It is an honour to be published by the same house which has several of my favourite author/bloggers on their list already. From literary fiction to cinema to travelogue to horror, their roster of authors and range of topics are quite fantastic. Three of their authors made it to the cover of Outlook recently as Lo-Cal Literati. 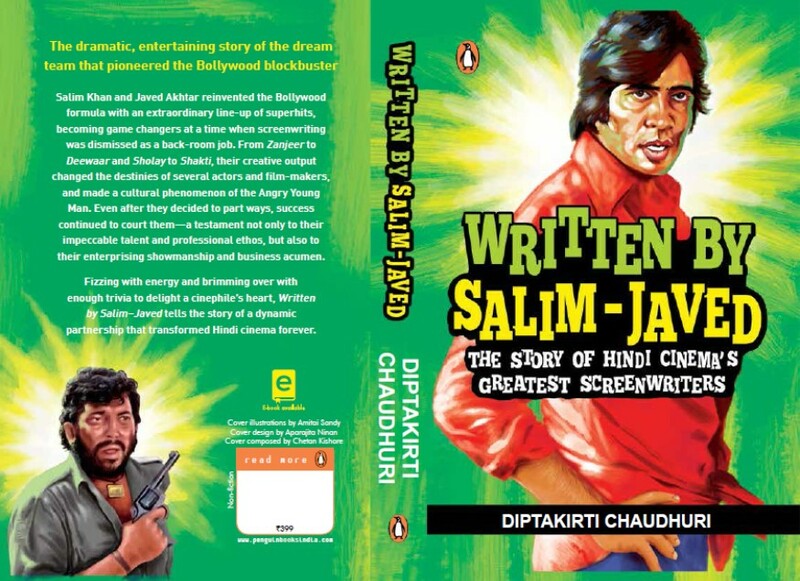 The book is about the favourite pastime of Bollywood fans. Which are the 10 best death scenes? 7 best sequels? Anupam Kher’s 8 best performances? 12 best comedies of all times? The whole parlour game of making lists – and fighting endlessly over them – is what this book is all about. 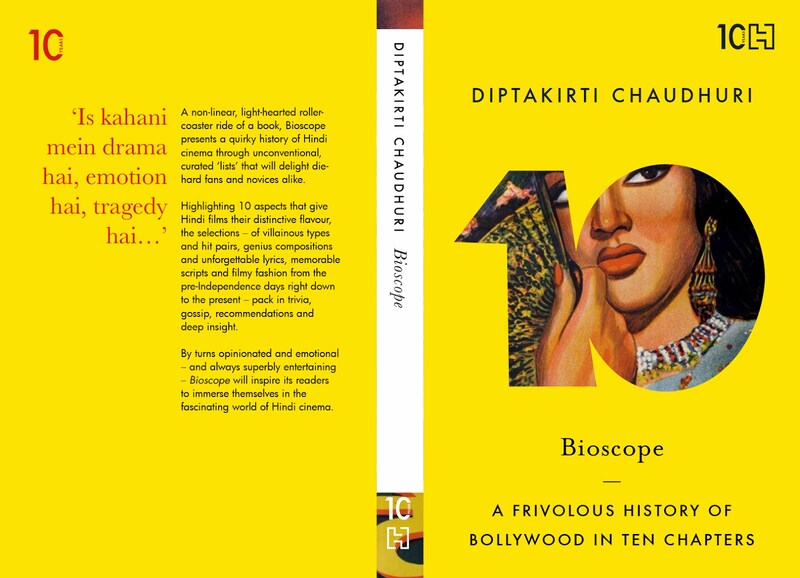 Currently, blood is being shed in college canteens, on internet discussion forums, over a drink to decide the 10 best Gulzar-RD songs This book is not intended to stop those battles but to fuel them. 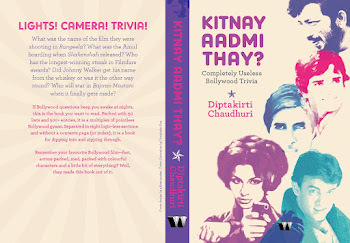 The book is about getting more people to join in the favourite pastime of Bollywood fans. This book is incomplete. Don't ask for your money back because I assure you it is more fun this way. The book lists out some of the names of a list and you are supposed to come up with more. Scribble in the extra names on the margins. Call up your childhood buddy in Alwar and ask him how many films he remembers in which Amitabh played a Muslim. Feel superior if an obvious name is missing. In short, this book is for you. Readers of Calcutta Chromosome are requested to buy, read and gift the book in large quantities. But first, get to work. Give me a name for the book. 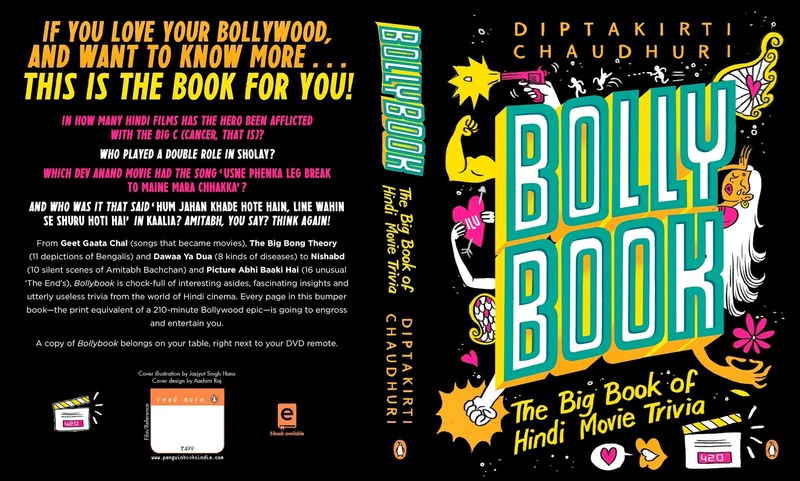 The Book of Bollywood Lists (a.k.a TBBL) is not sounding deliriously inviting to me. So, do you have some better ideas? 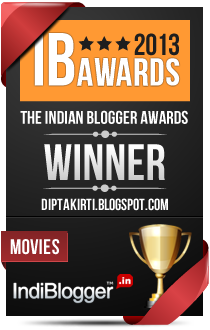 Title Suggestion Trivia: Kirron Kher is credited with 'Title Idea' in Dilwale Dulhaniya Le Jayenge. A few days back, the venerable GreatBong shared a link with me - from way back in the early 1990s. In those days, a film called Agneepath (on which I have dwelt on, in considerable detail, here) had a 'charity premier' in Calcutta for which Amitabh Bachchan and Mithun Chakraborty had both come to town. The link is from a 'video magazine' of those days (Lehren) that chronicled that momentous occasion. My story of watching Agneepath (first day, second show) is an epic in itself, which I will leave for another day. But I remembered an interesting tidbit from this particular star sortie in Calcutta. At a joint press conference, some journalist had asked Mithun if he felt peeved that in his own hometown, Amitabh was getting more attention. While there was an undercurrent of rivalry between the two, Mithun deflected this by answering - "In a Bengali household, the son-in-law always gets more attention than the son." Which, in turn, reminded me of yet another star repartee. When Govinda entered politics and contested Lok Sabha elections from North Mumbai (which includes, among other places, Virar), he was written off as a comedian who would entertain before losing his deposit. The same people who had written off one Amitabh Bachchan (contesting against HN Bahuguna in Allahabad 1984) must have made this prediction as well because Govinda not only won, but won handsomely. I watched a Hindi news channel interview Govinda after his victory and asked the mandatory question - "aap ko kaisa mehsoos ho raha hain?" Govinda flashed his gleaming white teeth and said, "Mujhse mere tajurbe ke baare mein bahut sawaal poochhe gaye. Main iske pehle bhi uska uttar de sakta tha. Lekin main chup raha aur Mumbai ke matdataon ka intezar kiya. Aur jab Mumbai uttar diya, Uttar Mumbai de diya..."
What do people do to be seen on TV with a celebrity? A very reliable source told me about a particular contestant in this year's Kaun Banega Crorepati who sent in more than 1,00,000 SMSes to the show during the elimination rounds. Yes, you read that correctly. One. Person. Sent. In. One. Lakh. Messages. Of all those answers, 65000 were correct. And do you know when that guy will be on KBC this season? None of those answers made it to the randomizer that selects the final contestants to be on the show. None. He has the type of luck where he shouldn't be in a flight path because planes would probably fall on him. But then, Amitabh Bachchan is lucky to have him as a fan. HT recently did a story on Bengalis settled in Delhi and profiled a gentleman called Chittaranjan Pakrashi who stays in - where else - Chittaranjan Park. I once heard of a Saket (Agarwal) who stayed in Saket. I am sure there is at least one Vikas Puri staying in Vikaspuri. This is so much better than Juhi in Juhu and Anupam Kher in Khar. (Trivia Alert: In his struggling days, Anupam Kher's address was something like Anupam Kher c/o Mrs Kaur, Khetwadi, Khar).